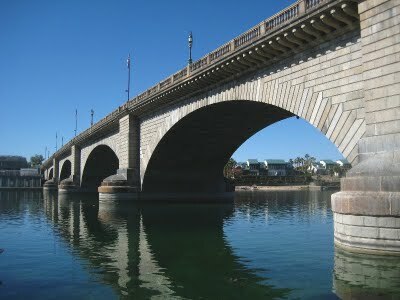 For the past week the WINs have been in Lake Havasu City, most famous as the site of the London Bridge. The bridge was purchased by developer Robert McCulloch in 1968 for $2,460,000. It took three years and another $4,500,000 to transport and reassemble the bridge. Sounds crazy, right? But by bringing in this impressive bridge, not to mention digging a channel to run under it, Mr. McCulloch kicked his developing plans into high gear. The tiny town he created in the Arizona desert is now a thriving metropolis. Each piece was numbered to facilitate the reassembly process. 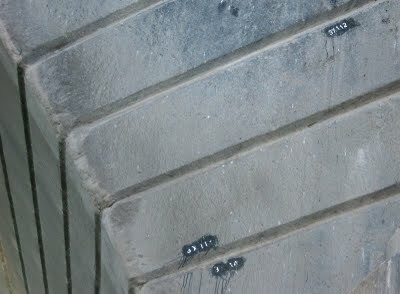 Carolyn spotted some of the numbers still visible. 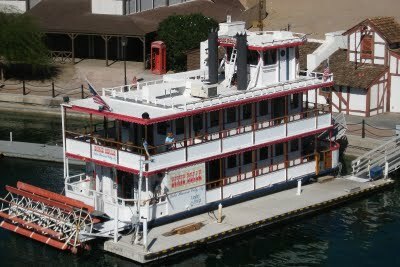 But my favorite part of the story is the legend that Mr. McCulloch thought he was buying the more impressive Tower Bridge. It makes a great story, but I think anybody with Mr. McCulloch’s business sense would know what bridge he was buying. 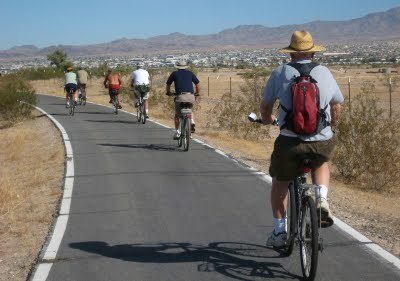 Now on to the WIN Triathlon – hiking, biking, and kayaking. 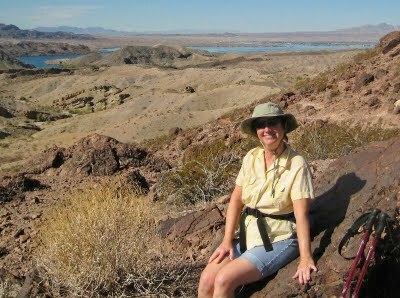 First up was the hike in SARA Park on the south end of Lake Havasu City. 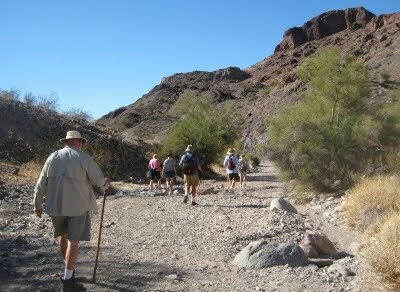 It begins as an easy walk down a wash. . . 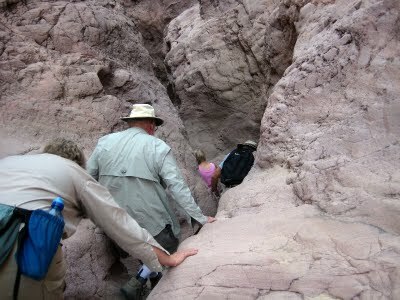 Which becomes a bit more challenging through a slot canyon. Once through the slot (or SARA’s crack as the locals say,) some of us returned overland on a fairly well-marked trail until we took the wrong wash at the end. Even with that it was an easy hike of about 2 1/2 miles. Others in the group (Ron, for one) decided to forge their own trail and arrived back at the parking lot about 2 hours later. We were already home and showered by then. 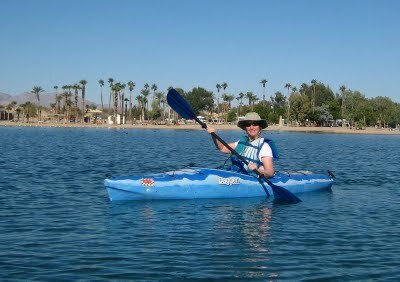 Next was the kayaking. 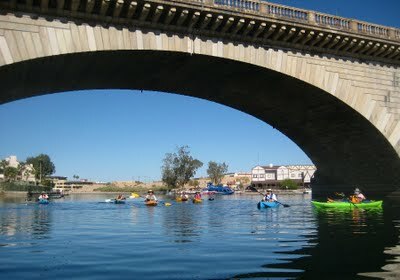 We put in about 1/2 mile south of the bridge and kayaked up the channel to it. 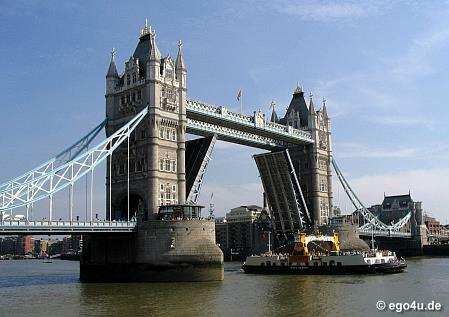 Here are the WINs under the London Bridge. 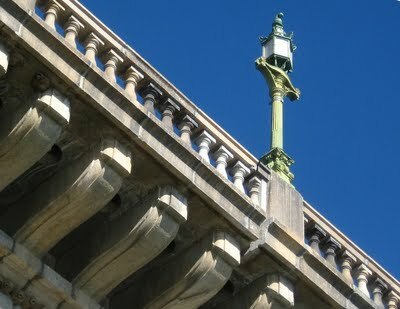 I liked this view of the bridge architecture and one of the unique lampposts, molded from French cannons captured during the 1815 battle of Waterloo. Wow! See what you can learn online? 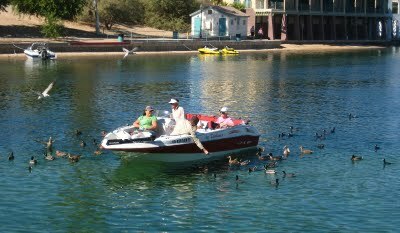 Most of the group continued around the island formed by said channel, but wimp that I am, I turned around. That was some of the clearest, prettiest water I’ve ever kayaked. While I was waiting (no, I didn’t leave Ron this time) I walked back to the bridge where they have cute shops and ICE CREAM! I had cappuccino chocolate chip. Yum. And I discovered why there are so many ducks in the area. 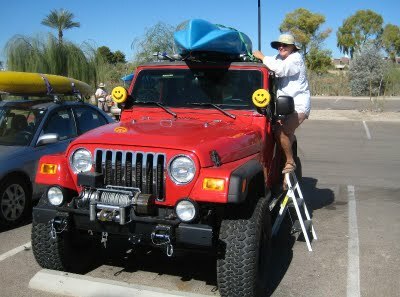 Back at our launching point, Patty entertained us by practicing her kayak reboarding technique. Carolyn is ready to lead a hand or maybe just laugh. Then today we did some biking. 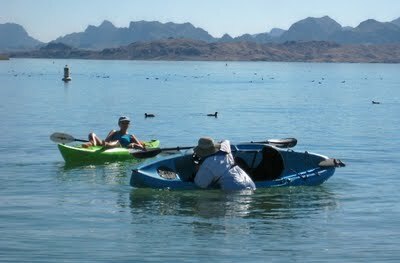 Here we are on the island with Lake Havasu City in the background. What a good looking group! 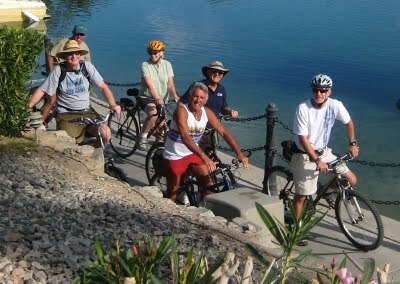 Bill, Bill, Carol, Peter, Ron, (fearless leader) Mark, and I all had a perfect ride. On the way home I snapped this picture out the window. Can you see why I thought it was amusing? 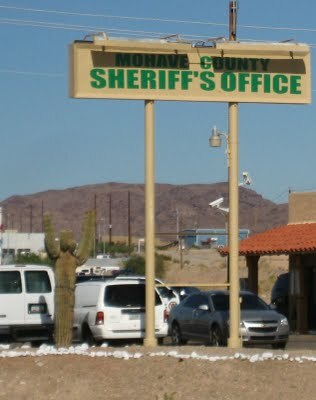 Maybe I’m just crazy, but I thought that Saguaro under the Sheriff’s sign looked like a person with his hands raised in surrender.